The growing season is upon us and that means it’s time to sign up for a CSA (Community Supported Agriculture). Becoming a member of a CSA is a great way to get access to local, seasonal food directly from a farmer. A farmer (or group of farmers) offers a certain number of “shares” to the public. Typically the share consists of a box of vegetables, but other farm products may be included, such as dairy items, fruits, or meats. Interested consumers purchase a share and in return receive a box of seasonal produce each week (or bi-weekly) throughout the farming season. Enjoy the benefits of eating very fresh locally grown food soon after harvest, which provides your family with nutrient dense foods. Support your local agriculture, not through a retailer or market but directly to the farmer. Learn and experience new and different foods, which you can’t get at a grocery store. The power to choose food that’s free of pesticides, hormones, antibiotics, and GMOs. Understand more about the farming process and where your food comes from, which is a great lesson for everyone, including kids. Opportunity to visit and see the farm in action, and in some cases pick-your-own. Protect the environment by supporting locally grown food, which doesn’t have to travel far – reducing fossil fuel, carbon emission and packing materials. 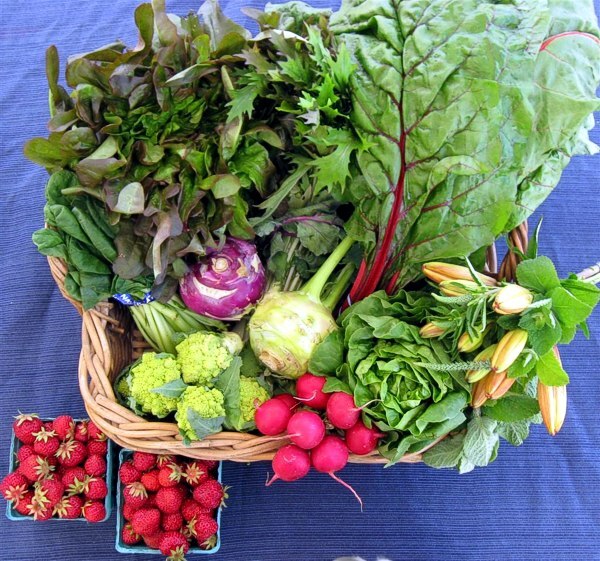 What to expect in your weekly CSA box. Of course, this is just an example. Your share will vary depending on your region and your CSA. Read these tips on how to choose a CSA. Find a CSA near you via Local Harvest. 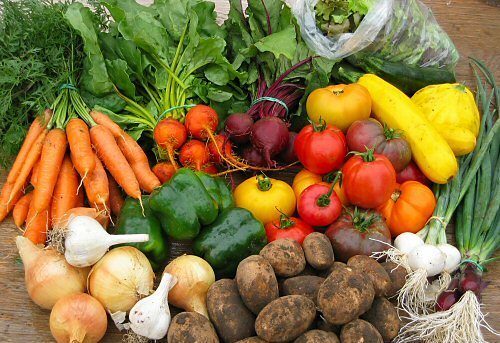 Discover the best way to store your CSA produce. 31 ideas on what to do with interesting and unique CSA vegetables. How to get more out of your CSA Vegetables. If your CSA offers a pick-your-own option, here are some things to keep in mind to maintain the best quality. How to freeze and preserve herbs from your CSA. Be resourceful and use every scrap of your CSA by making vegetable stock. Are you an avid CSA fan? Give a shout out to your CSA, and tell us why you love it in the comments.